Kashoo is the perfect accounting app for small business owners, freelancers, independent entrepreneurs and anyone who does their own thing, their own way. Kashoo is simple online accounting software for small businesses. Available on the web and through our award winning app for iPad and iPhone. True double-entry accounting yet delightfully easy to use. 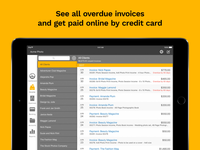 Send invoices, collect online credit card payments, track expenses and sales taxes, automatically import bank transactions, and generate the reports you need for tax time. Features also include multi-currency, unlimited users, and secure access for accountants and bookkeepers. Kashoo Online Accounting Reviews Recently Reviewed! Cons: Maybe a tad more support for drag-and-drop would be nice as would the ability to open it in multiple windows so I can cross-check and tally stuff a bit easier than going backward and forward in the same browser window. Overall: When I set up my business 5 years ago I knew I would need an easy-to-use accounting system. As an accountant myself I needed one with all the bells and whistles, and as a business owner I needed one that was easy to use from anywhere and fast and flexible. After experimenting with a number of unhappy options, I stumbled across Kashoo and it was love at first sight. Recommendations to other buyers: It's dead easy to use if all you want is invoice generation and receipts and payments. It's also dead easy if you need more "accounting" stuff like adjustment entries and transfers. Basically, do yourself a favour and adopt Kashoo. Pros: Ease of setup, ease on use. Archiving and security of data. Cons: I like everything about it, but encourage further development of the mobile capture services. There's still room to improved workflow and save customers time and money. The apps for mobile and iPad are great. I'm able to get everything done and stay up to date easily. 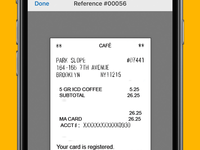 The mobile capture works great and means no more piles or receipts lying around. The Web UI was recently updated to add the feature to import scanned and digital receipts too - a specific feature request of mine. Kashoo is always investing in the development of the tool and the education of their customers. The addition of Kashoo U was great for education. I also take advantage of live chat and the always on knowledge base. My accountant even became a Kashoo MVP which I was thrilled about. I like that I can give my accountant permission based access to the data to adjust and file. Recommendations to other buyers: Book keeping and accounting can be easy if you make the investment in learning it. If you're self employed, have your accountant train you. If you're a new business looking for a company wide tool - train your staff on expense capture. Pros: The key in selecting accounting software is not how much it can do for you, but how much support you can get after you take the plunge. With Kashoo, the support is unbelievable. Utilizing their Chat feature will get you a satifactory answer in a matter of an hour or so. I've never felt like I got a less than complete reply. Why? Because they know their product, and are not paid to sit and answer questions all day long about something they don't use. I cant say that for the other software systems I've tried. I'm now running 3 businesses off of Kashoo. Wish the Client fields were more customizable, so reporting could be more robust. Overall: For 90% of small business of 10 emplohees or less, Kashoo is the way to go. It feels light, utilizes the Cloud for storage, has terrific support, and is easy to learn and utilize. Im comfortable in growing my business, and letting Kashoo grow with me. Cons: Invoicing is not that great, or it could be that I'm not knowledgeable in creating invoices in Kashoo. Wish there was more help for the free accounts, but hey can't get much for free these days. Overall: I Love Kashoo but I wish there was more help online, I'm trying to figure out how to deduct money from an employee for a garnish of wages and I thought I did it correctly but it was wrong, because I'm a really small business and have less than 5 employees I can not get any help. I also wish that the invoice section of Kashoo was easier to use. But It's way more user-friendly than other programs! So yes I like it !! Hi Carrie, thanks for the review! Kashoo offers many support options and our team is ready to help you any time you need it - by phone 1-888-520-5274, by live chat that's available from within the app, by email at answers@kashoo.com, and through our self-serve support site at support.kashoo.com. We also regularly host live webinars. You can visit kashoo.com/webinars to see what's coming up. I hope that helps! Pros: Its a simple to use day by day administration program. 24 hours eccess any where in the world. 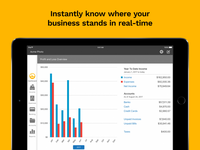 Get all financial information how your business is doing. Cons: If your not good in english it will be hard to understand most instruction , like setting up certain things to get going, personaly i dont go to deep in setting up complicated administration things i dont understand, but when i have to you can get online help , only on working hours, not 24 hour. Maybe some more after hours asistance can come out handy, depens in which time zone you living. Overall: I can see up to date my statement income monthly or yearly and compare, so i can adjust strategy when i want. Program everything up front bills. Find receipt paid , clients that buy on credit, when to call them. Bills to pay. love the user interface and chat feature! Overall: When I first started my horticulture business (capterra- why is horticulture or even landscaping, not an industry option?!?) I kept books on paper and had to learn book keeping from the IRS website and other online (free) resources. When I decided that I really wanted to go digital, I tried multiple online book keeping softwares before finally settling on Kashoo. My experience has been really great! Every time I have a question it has been either easily answered through the online tutorials or by using the Kashoo chat feature. Even when I make a stupid mistake, customer service always seems happy to help me unravel and correct it. For comparison, another organization that I was on the board of uses quick books and every time I had to use it I was more greatful for Kashoo! For someone who didn't learn book keeping on quick books- looking through the accounts to find the information I need on Kashoo is so much more intuitive. - Full-featured iOS app for iPad. Overall: Being the owner of a small company with no accounting background at all made my decision to handle accounts a crazy one, but thanks for Kashoo who helped me overcome this challenge successfully! A well developed piece of software with a huge bunch of educational videos and guiding articles, equipped with excellent customer support is exactly what you look for when you are starting your first steps in accounting. Kashoo made my life easier and gave me full control over my cash flow! Recommendations to other buyers: Recommended for any SME. Pros: I've been using this software for 5 books for about 5 years now. I'm not an accountant, and it's so well laid out that I really prefer this to any of the other systems I've tried. It's all put together for a entrepreneur to use easily. Over the years I've needed support and help a few times, and each time I've had the issue resolved by a real person very quickly and easily. Cons: Some of the book keepers need to get up to speed initially, but it doesn't take long. 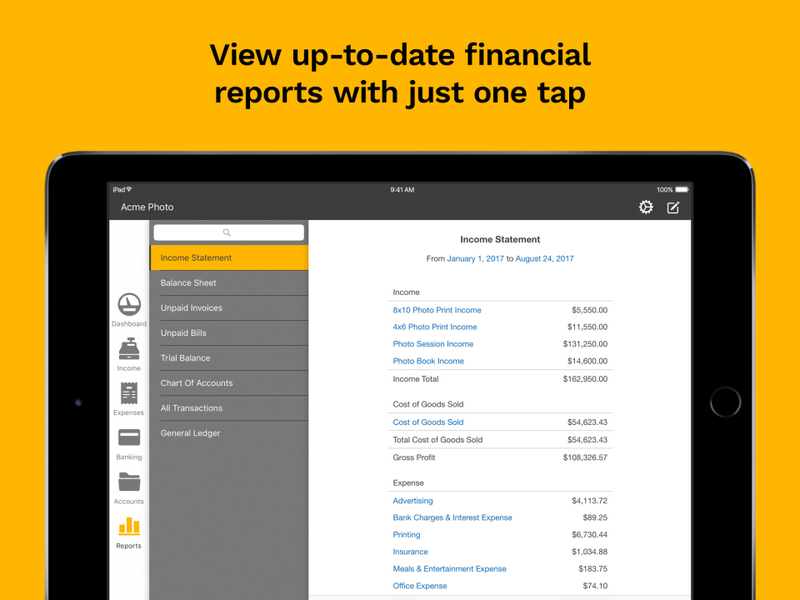 Great accounting program, easy to learn and use, but report formatting needs a lot of work. Comments: I know that the look of reports is not a top priority in accounting software, but a clean, professional look does matter to me. I have been advised by Kashoo that they are working on them but it has been months now and nothing has been fixed. If it wasn't for this issue, the software would get a 5/5 from me. I really like using the program and don't want to switch to something else. Pros: Has everything I need to run my small business Easy to learn and use, not a huge learning curve Canadian product! Cons: Data entry requires a lot of scrolling up and down Report formatting really needs work: - Accounts are not in numerical order - Columns don't line up - Some reports have no title or date range, I have to add them manually (statements and ledger) - Font headers are huge and can't be adjusted, creating way more pages than needed - No way to adjust page sizing (often get one line on a second page when it would easily fit on the first) - Report templates are not customizable, they can only be fixed by Kashoo. Pros: Very simple and does almost everything the giant products on the market do. Cons: Really could use some more color. But that's just me, I like color. Overall: Kashoo is one of the small companies that is competing with the big guys. Their support is fantastic, their product is easy to use and constantly updated for features and usability. You can do it from your desk, from your tablet, or from your phone. Personally I do all 3! Recommendations to other buyers: Get into it! You'll love it and be paper free. Pros: The fact that the app has been around for many years speaks to its stability and viabilkity. The design and interface has improved through the years. The site is clean and the pricing is simple. Cons: No mobile apps, no OCR receipt capture, somewhat difficult UI. No ability to oversee multiple businesses on one account. Overall: Kashoo is a decent invoicing/accounting tool. Unfortunately, for them, there many decent invoicing/accounting tools and many of those tools offer more features for the same price or less. It is tough for Kashoo to go head-to-head with something like Wave apps when Kashoo offers no mobile apps or OCR capture. Apps like Hiveage or Nutcache are more modern and have apps. Self-hosted tools like PancakeApp and Invoice Ninja are more full-featured and allow for multiple business profiles. Overall, Kashoo is a functional app but not one of the top offerings. Pros: Portability, ease of use. Cons: Would like to see more selectivity in reports. Overall: Very intuitive software. I have been a CPA for over 40 years. Great for clients "on the go" to maintain accurate records. I use it for all my own personal use as well. Recommendations to other buyers: Log-in is tooooooooooooooooooooooooooooooooooooooooooo long. Thanks for the review. I am going to reach out to you directly to find out what is happening with your log-in process it should be a few seconds at most. Young, Fresh & AWESOME to use! Comments: My experience with Kashoo has been amazing - I took my time looking for counting software for my new small business. Being a bit shy around numbers Kashoo has made my experience with money, transactions and invoicing very smooth and extremely professional. Before I had Kashoo I was creating my own invoices, based on very little knowledge - doing a tonne of work saving it all on my iPad and it was so unorganized. When I discovered Kashoo, I literally was on it for a few hours and re-did all my invoices for the year so that they were organized and presentable. I am extremely particular about organizing and Kashoo makes my life very simple when it comes to accounting! Everything you need Kashoo has - not to mention the webinars and the direct contact you get from their customer service. The young, up to date feel; relevant, fresh knowledge behind Kashoo makes it fun to do your accounting - clean, crisp, consise invoicing makes me feel comfortable, confident and a true small-business owner. The best thing about using Kashoo is that you can create an invoice in less than 30 seconds. A lot of the work I do can be last minute with clients calling in for a session in the morning - with a few finger taps I've got the invoice ready to be emailed by the end of the session - getting paid faster and making things easy for the client. I would actually like to thank Kashoo for helping me get where I am today and be able to track my financials through their easy to use software. As a young small business owner Kashoo helped make organizing my finances a priority! Love it!! Cons: invoicing is a little fussy and the graphics are a little complicated. Overall: I really like being able to do everything on my iPad. I also love the customer service by phone is key and email is great to. Finally I love giving password to my accountant and I'm done! Recommendations to other buyers: The extra journal line in the invoice section for every invoice paid is annoying. Pros: Intuitive design. Clean and uncluttered layout. Everything just makes sense. Customer service is fantastic! Cons: I would like to see updates more frequently. Overall: I use it to run several businesses. It is easy enough that I can use it myself while running my business. I can send invoices and take payments. Whenever I have a question, I can chat with customer service. Pros: Kashoo is very clean and lightweight. Not flashy, but that makes navigating the web app and iPhone app snappy. Cons: Lacks some of the bells and whistles of the 'big boys' in this space - like integrations with other services. That's not something I need right now, but could be useful in the future. Kashoo's design can seem lacklustre at first. There's power in that, but it's not nearly as friendly-looking as Freshbooks, for example. Overall: I've used Kashoo to track my finances as a professional musician for a few years now and it has never let me down. It's very fast to get in and out and do what I need to do. I love being able to support a Canadian company, in Canadian dollars :) Support has been very responsive when I've needed it. Comments: I find that the last U.I. change was a step back, some functions are a bit harder to find. I can see what the goal was, but I think things like renaming receivables to "unpaid invoices" for example is less clear, and a bit silly. Great Accounting Software and App. Especially for a regular Joe like me. Overall: I like the way the Mobile app works seamlessly with the desktop version. I'm on the go a lot, it's nice to use an accounting software that keeps up with me. Its easy to use. When I do have questions the Customer Service is top notch. They also have timely emails and webinars to help you prepare to tax season and the like. Pros: Ease of use and has a some great features that I could not get with quickbooks online. Cons: The fact that it does not work on android. Pros: 1. Very clear interface, when I show this software to our client they could easily understand. 2. Very functional, I can enter all the data efficiently, this software also remember entries. 3. Support is always there, every time I have question I can just live chat with the support and get my answer within few minutes. Cons: 1.for our client from china we may need different languages to help those who does not understand English able to make their own books. 2. A comprehensive training would be best for users. 3. More features helping client like scan in or suggestion entries for better client experience whenever they need support. Overall: We have used Kashoo to help our small business owner to get their own books. By doing this way we made less mistake on bookkeeping and saved our clients lots of money. Clean, clear interface, quick processing, reliable, and does everything I need it to do! Comments: As with all cloud based software, the ability to access my accounts from anywhere is very useful. Because it's all online I was anticipating an element of sluggishness in response times but I can say that I was proven wrong and the application works very well and quick. It does pretty much everything I need it to do and the layout is logical and easy to navigate. There are a couple of things missing (proper Standing Order engine and statement distribution come to mind), but I have tried a few accounting system and found that none of them cater for ALL my needs (some will always be missing) unless I'm willing to spend a fortune. Kashoo covers the important ones - I can live with the ones that are missing - but having said that, their customer service is excellent and these issues are being addressed and shortcuts put in place to alleviate their absence, so I'm happy overall. The most important aspect is fulfilled - reliability. I can't afford to find my accounts unaccessible, and to date they have been very robust and reliable. I've never had any problems with access to my accounts, and they include enough reports to also allow you to download the entire database should you want to. Cons: - Some features are not out of the box or not intuitive enough, so you have to ping-pong support even after browsing through documentation. Luckily, support is amazing and answers politely, accurately and within a few hours. Overall: I have been using Kashoo for a few weeks now. Support is awesome - and the solution is highly configurable. This is the only real competitor to Xero (which I haven't tried). Comments: I do appreciate your application, it's easy to use and track. anyhow, there are more functionalities that I really need. - need to have a weekly income vs plan graph feature , we can put our monthly plan or yearly plan of income then app can breakdown into weekly target. then graph help compare the income and the trend of the plan in each week. So, people don't need other financial app to fill their target vs actual just to see the trend of their planning. - need the mass update on the payment status. i have a problem when i have to change status from 'due on receipts' to "paid" , this is when i need to update 10-30 transactions at one go.Or you may have solution already only that i didn't know. So, you can suggest if you have solution in place. - for the export file to Excel, anyhow the database does not filled in every cells, since you will keep some cells blank if they are the same category e.g. terms of payment account. i have to use excel function to fill all cells before i can do a pivot table to analyse my data.This pre work with filling all cells really waste my time. i need a complete database exported. So, that i can filter or pivot right away after exported. Pros: What a great app! This is perfect for a small business/ entrepreneur! As a realtor, its perfect for me to keep track of all my receipts, etc!! Cons: Not a whole lot of cons! Overall very simple and straightforward. The overall layout/look of the app isn't my favorite. But not concerned with that. Works well! Also, it would be nice it store scans or have a folder on customers. Otherwise, very good. Overall: Top draw other than above. Excellent Customer Service is their Winning Point! Cons: This is not a must but if it can be done then it is perfect. SO FAR SO GOOD WITH KASHOO ! Pros: I think it is a fairly straight forward program. Simple to use once you get the trial balance into the program. We like the auto download function for the bank statements and credit card. Because the cost of the program is so affordable I am able to use Kashoo for both my real estate businesse and my property management company. I wasn't able to afford it with Quickbooks! My accountant and bookkeeper are much happier with Kashoo than with Quickbooks. Cons: My bookkeeper has commented that Kashoo will allow a reconcilation even though the numbers do not balance with the statement. The reconcilation needs to match the final statement. So far she and customer service have not been able to resolve this issue. Overall: I am hoping we will have an easier time keeping all my accounts in order with Kashoo. Having the ability to keep separate companies on one platform that is affordable makes me much happier. Cons: I wish you could upload bills, like a master card bill directly. Overall: I love Kashoo, because the support is great and they understand Canadian needs such as gst, and payroll deductions. Pros: Great for small business owners with multiple companies. Easy to use and to train others. 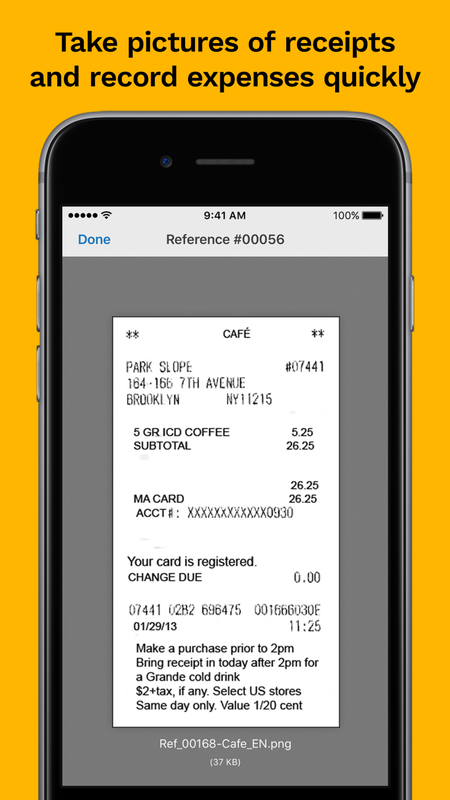 Cons: Would love to be able to have app for employees that could attach receipts to credit card charges. Cons: I need to learn more about the software, but it is my own time I need to manage. Overall: Kashoo is easy to use, and affordable. It makes my bookkeeping simple, and easy. I have used it for many years now, with great success. Pros: They offer ongoing training to enhance your experience with use. Fairly easy navigation and easy to use even for those not well experienced in bookkeeping. Easy to go back and make corrections. Offers different levels of use from basic bookkeeping to issuing invoices and charting of information. Easy access to real time online tech support. Overall: Serves my needs and level of proficiency well. Good online accounting software with excellent customer service team. Pros: I used this software for a year for my small business. It's a simple form field way to do your accounting as opposed to using spreadsheets. It also has a nice mobile application to accompany the desktop application so you can easily upload photos. I like being able to attach digital photos of receipts to entries the most. Cons: In the end, I felt like I could save the money and just use spreadsheets again to do my accounting. Because filling in the form fields was basically the same as filling in cells of a spreadsheet I didn't feel like it was worth it just for the photo upload functionality. I'm sure it has other features that I just never looked into using but my small business is so basic I never got around to seeing the other offerings. Comments: Great cloud accounting software. Easy to use, nice, simple, clean interface. Connects well with payroll software. 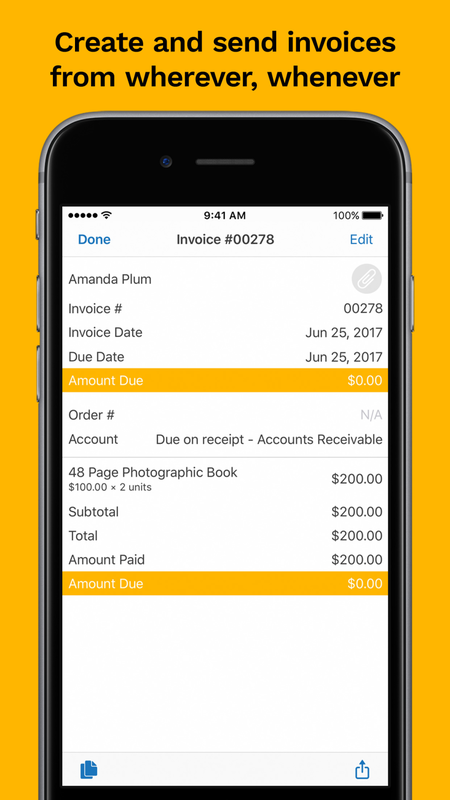 Pros: Tracked expenses and accounting related issues are a hassle and we used Kashoo iOS app, to efficiently upload our expenses/ receipts. This account is shared with our accountant, who will then file and manage accordingly. Syncing with our local bank also works well. Pros: Very user-friendly and apt for small business use. We use it for one of our new online business. Sync with our local bank and we love the users invite feature where shareholders and our accountant can 'collaborate' easily, even when using ios app. Cons: If only Kashoo has the tracked invoicing and reminders feature, that will be great. Overall: Does what it advertise. Pros: It was designed by accountants for accountants. Cons: There are many workarounds to learn. For example when you are doing multiple month bank reconciliations you must get out of reconciliation and back in to have all factors correct. Also, the system could have a more modern look and feel. Overall: It is an excellent accounting system, but could use many of the attributes of QBO, like being able to attach documents to transactions. Pros: Super intuitive to use. Everything is laid out efficiently. Everything also works as expected. Mistakes are easy to spot and correct. Cons: Lack of support with accountants who actually use them. They need to get accountants to use them somehow, and create a network like Xero did, as I found that a super effective way to convince users to adopt it. Comments: Kashoo in a web based accounting software solution that provides users with an easy way to manage business expenses and income. With Kashoo users can enter income and invoicing details in an easy way without having professional accounting knowledge. For users who need to handle different currencies it is good to know that the software downloads exchange rates on a daily basis. Pros: With Kashoo, business owners can handle accounting tasks on their own. This is particularly useful for small businesses where the budget doesn´t allow an expensive professional. You can also give access to multiple users to view and edit information. Cons: Would be nice to have the possibility for more configuration of the invoices. Pros: I liked the fact that Kashoo is an online solution and could be accessed from anywhere. The interface was fairly intuitive and easy to follow in most places. Cons: Kashoo is a fairly good solution for online invoicing and billing but for the price lacks some of the features that you would expect. Overall: Overall Kashoo does a pretty fair job. It served its purpose for about a year but was ultimately replace with a more feature-rich package. A great alternative to Quickbooks! Pros: Kashoo is great because it is a lot more "friendly" than Quickbooks. The colors and layout just feel more approachable. Cons: There are some elements that aren't perfect. I do wish that the program were a little more adaptable to my needs. I also wish that there were more options available in the iPad version. Pros: Printed invoices are clear, but do not show payments made from different sources, therefore, of limited usefulness for clients wishing to access funding through two different EAP/benefit plans. Cons: Printed invoices do not show payments made from different sources, therefore, of limited usefulness for clients wishing to access funding through two different EAP/benefit plans. Pros: Easy set up, nice layout, and good mobile app (iPhone). The web app offers project management as well. Cons: The inability to assign entries to specific projects from the mobile app seems a bit baffling and frustrating. Comments: Flexibility is good in how transactions are processed - much less restrictive than Simply Accounting. I like not having to worry about backups and having historical (previous year) data live is great. Reporting could be better but I have learned to work with it. Balance Sheets and Profit & Loss work well - an A/R Aged Trial Balance might be nice but isn't a big deal. I feel confident Kashoo will provide all the security needed and are dedicated to me and to their system. Pros: This software is easy to use and the set up was very quick. I particularly like being able to create and print checks right from the system. Works perfectly for paying the office rent and such. Cons: You still have to sync and adjust everything regularly for your back accounts to show the proper balance, but this keeps me on my toes and makes me check everything each week. Overall: Overall, I would highly recommend this program for small business owners. I have shared it with many of my clients and will continue to do so. Comments: I use the kashoo app and it's so easy and quick to use. 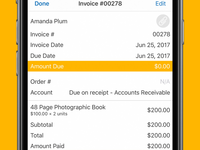 I can add in all my receipts and expenses with just a few clicks, which makes keeping up with all my accounting such a breeze. 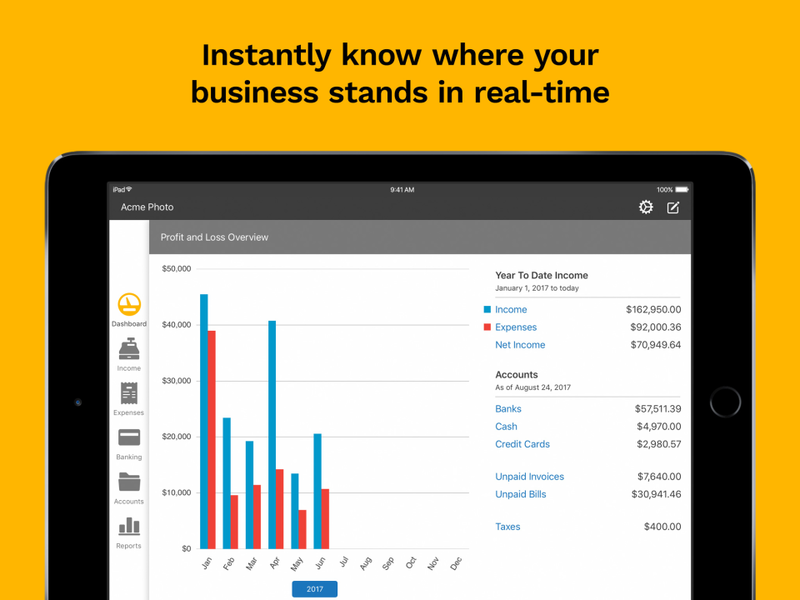 Plus the mobile app means I can now take my business accounts with wherever I go, making life super conveinient. The customer service team are super friendly and helpful if you have a problem and the webinars mean you can easily find out more about using kashoo's functions. Comments: I came across Kashoo about a year ago and am delighted with it. After years of experimenting with low-brow solutions (shoe boxes, Excel spreadsheets) and software that was far more complicated than what I need (Quicken), I've finally found something in the middle suitably easy to use, yet powerful enough to do everything that I need it to do. I love the user interface and the simplicity of Kashoo's design. It takes the drudgery out of accounting. Comments: I love Kashoo and have been with them since 2011. The system follows basic accounting principles. The charm of this web app is that it is simple, easy and yet versatile enough that you can make complex transactions clean while still keeping people accountable. The newest feature of attaching any file format to specific transactions is a winner and has helped reduce my workload for researching. Keep up the great job Kashoo!